In the days following a natural disaster such as a hurricane, flood, earthquake, tornado, or other event, the initial focus is on ensuring that the basic needs of those impacted are taken care of. Those who have been displaced take shelter in community buildings or the homes of friends and neighbors. First responders and volunteers work tirelessly to distribute food, water, and medical supplies. Homeowners come together to remove debris and begin the work of cleaning up their neighborhoods. As time goes on, the focus shifts to repairing and rebuilding, not only the individual structures, but communities. Thankfully, as mortgage professionals we have an opportunity to help victims of disasters establish safe, stable, and affordable housing. The FHA 203(h) Mortgage Insurance for Disaster Victims Program is a specialty loan option available through the FHA that provides up to 100% financing to those whose homes have been substantially damaged. Funds from the mortgage loan can be used to rebuild a damaged or destroyed home, or to purchase a new property. Victims do not need to have been homeowners in order to qualify. Renters who were displaced are also eligible to use this program to purchase a new home. 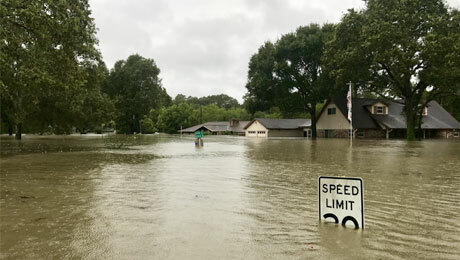 It’s not unusual for homeowners whose lives have been turned upside down by a natural disaster to be late with payments immediately following the event. Mail service may be interrupted, and internet not available for some period of time, and household funds may be urgently needed for food, and a safe place to live in the short term. When things stabilize and it comes time to rebuild or purchase a new home many mortgage applicants are concerned that those payment issues may prevent them from qualifying for a new loan. The FHA 203(h) Mortgage Insurance for Disaster Victims Program makes it easy to set their minds at ease. These loan applications are manually underwritten, and late payments may be ignored from the underwriting analysis if they take place after the date of the disaster and are found to have been caused by the displacement. Many homeowners or home buyers may not be aware that they could be eligible for 100% financing and the other benefits of the FHA 203(h) Mortgage Insurance for Disaster Victims Program. In the aftermath of a disaster communication may be limited. When it is time to apply for a new loan, applicants may be so busy and overwhelmed by competing priorities, that they don’t spend a great deal of time researching options. Spread the word by educating those in the community who these homeowners and home buyers will likely reach out to, or be in contact with. This could be those operating temporary shelters, home builders and contractors, and real estate agents. Social media advertising can also be very effective for communicating this message. Many people turn to social media to share information and resources for recovery following a natural disaster impacting their community.